Publishers of technical software books and magazines seem to struggling against the relentless onslaught of the Internet, crushed between the twin rocks of rapidly changing technology and free online content. In a recent .NET Rocks! podcast, accomplished technical author Charles Petzold (of Programming Windows fame) discusses the grim commercial realities of writing technical software books in the 21st century. It doesn’t sound good. 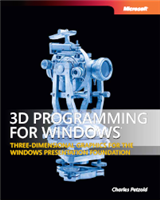 His recent 3D programming for Windows book took 8 months to write and has sold less than 4,000 copies worldwide. As he gets royalties of around $3 per copy sold (less when sold outside the US), this equates to less than $12,000 for 8 months work. He could have made around $9,000 flipping burgers for minimum wage over the same period. Ouch. Assuming 40 hours per week. This entry was posted in miscellaneous, news, podcasts, software and tagged book, charles petzold, income, publishing, software on 17 September 2008 by Andy Brice.